Spring is (allegedly) upon us once more and for me that means two things: I have to start thinking seriously about leg hair removal and it's time to start the hunt for a light fragrance to see me through until October. 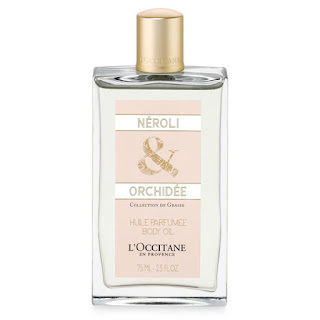 I'll chat body hair another day- this post is all about my L'Occitane fragrance picks to keep things fragrant throughout the season. My Spring fragrance of choice last year was an absolute thing of beauty. I was going through a serious infatuation with fig fragrances (of which I am still not quite recovered) and found THE ONE in the form of L'Occitane Figuier & Osmanthus Eau de Toilette. I could not fault this fragrance. It was figgy and woody with a touch of blackcurrant and bergamot and I loved it so much it even came on holiday with me to Sardinia. But alas, the love affair was short lived for one reason only- it was a limited edition fragrance. 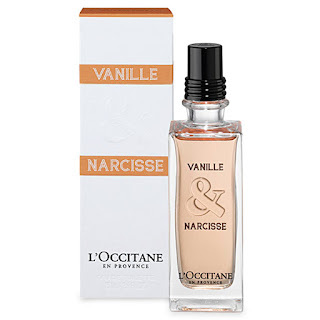 Rather than dwelling on lost love, I'm looking ahead and have a feeling L'Occitane will once again be my brand of choice for a light spring/summer fragrance this year. While this isn't strictly a fragrance, it is scented with delicious Madagascan white orchid, neroli essential oil and bitter orange blossom. The dry oil formula makes it perfect for the (hopefully) warmer months ahead as it won't leave me feeling greasy. Anyone who knows me is aware that I am a complete vanilla fragrance fiend so it's a given that I add this to my list. This scent offers that sweet vanilla hit with a touch of floral fragrance thanks to the addition of narcissus absolute. I first got a whiff of the Roses et Reines Jardin Secret Perfume Gel in Paris last month and to be honest I don't know why I didn't buy it there and then. 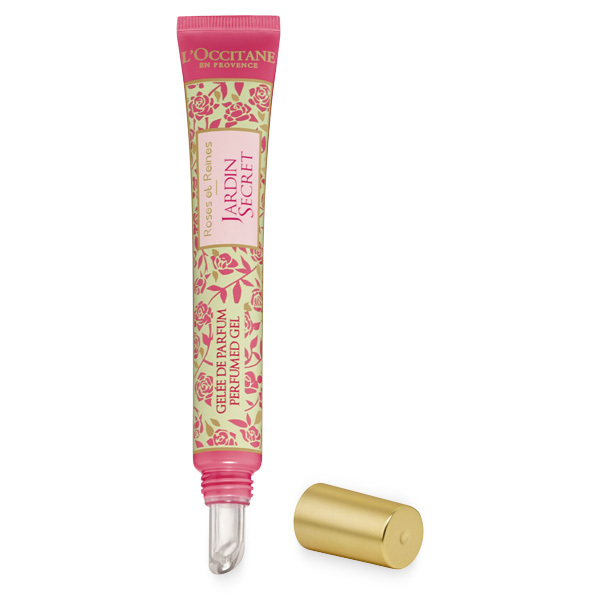 The scent is obviously gorgeous - a true rose with fresh green notes - but the product itself is such a lovely idea. The perfumed gel is designed to be dabbed onto pulse points and even the ends of the hair. Great to throw in your handbag too. 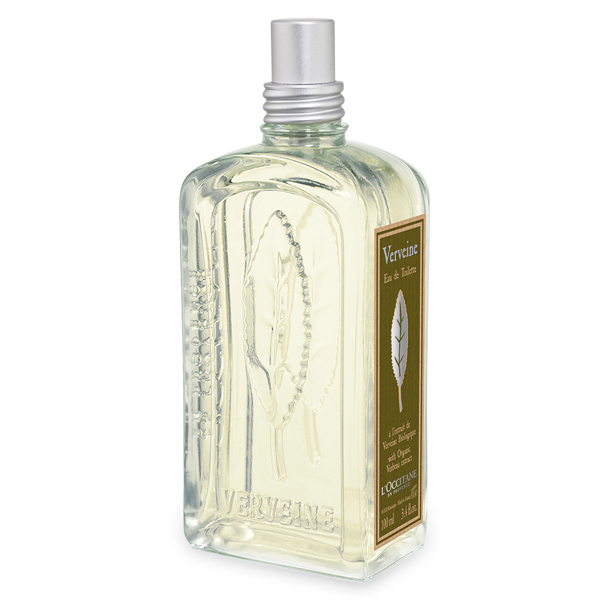 I truly love the L'Occitane verbena collection and have for years. It's such an incredibly refreshing and invigorating fragrance that is simply perfect for warmer months. The matching soap is great too (and unisex) as it somehow manages to cool the skin and leave you smelling lemony fresh. L'Occitane have so many pretty fragrance options, I think I'll have a hard time actually choosing one for spring. If they could do me a favour and bring back Figuier & Osmanthus I'd be sorted. Have you got a go-to warmer weather fragrance or are you still pining for a long gone limited edition scent? On the off chance that you are a synthetically Amy Adams Face Cream delicate individual, at that point settling on common beauty products could be the response for you.